What Pans Can Be Used on an Induction Hob? Most standard pots and pans will work on an induction cooking surface. Induction heating requires the use of a metal pan with a high ferrous metal content. Iron and stainless steel have the highest rate of success and typically transfer heat the fastest. To determine whether or not a cooking implement has a high ferrous metal content, take a magnet and place it against the bottom of the pan. If it sticks, then the odds are very good that the pan will be compatible with an induction hob. Pots and pans made entirely of copper or aluminum will not work on an induction surface due to their properties of conductivity. 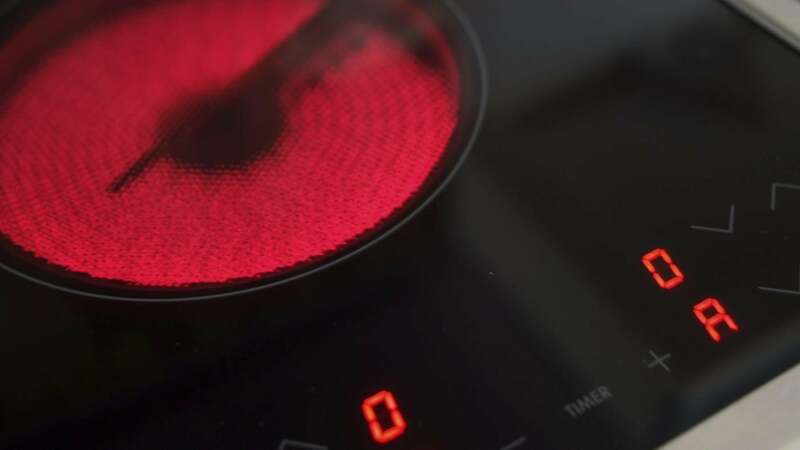 If they are mixed with another metal, then they will work on induction cookers, albeit less effectively than pots and pans made from other metals. Are Induction Cookers Easy to Clean? What Are Some Brands of Pots and Pans Used by Professional Chefs? Where Can You Buy a 36-Inch Induction Cooktop? How Do You Use an Induction Burner? How Does an Induction Stove Work? Where Can You Find a Book of Recipes for Cooking on an Induction Cooktop?